This morning, Anthopologie sent an email saying "1000+ NEW Fresh Cuts". At first, my mind went to the trash icon on my phone. To be honest, my everyday job is in Marketing. Not exactly one to fall for copy but the images in the email got me. Anthro always has the best photoshoots. Long story short, my basket got filled with items! Don't even ask how that happened. But, before just hitting the "checkout" button, I also stopped, took a breath and found not only a strategy but gave myself some ground rules for my morning. In short, here's: How to Shop an Anthropologie Sale Successfully. First // Start with a budget and keep the free shipping minimum in mind. Listen - budgets are hard but sticking to a strict limit is incredibly important to prevent yourself from over shopping. You might argue that there is no such thing as over shopping but when you start buying pieces you don't need or buying to buy, well, that's where it gets tricky. You might end up with items in your cart you wouldn't normally buy otherwise. Second // Strategy. Not only do you need to consider a dollar maximum to spend, you also need to consider what you need and not what you want. Maybe you need to replace a few staples/basics, like plain white tops or new dark denim jeans. My plan was to buy a few new summer tops. My closet is stocked with jeans and dresses but also tops with long sleeves. Not something you want to wear in 80+ degrees. 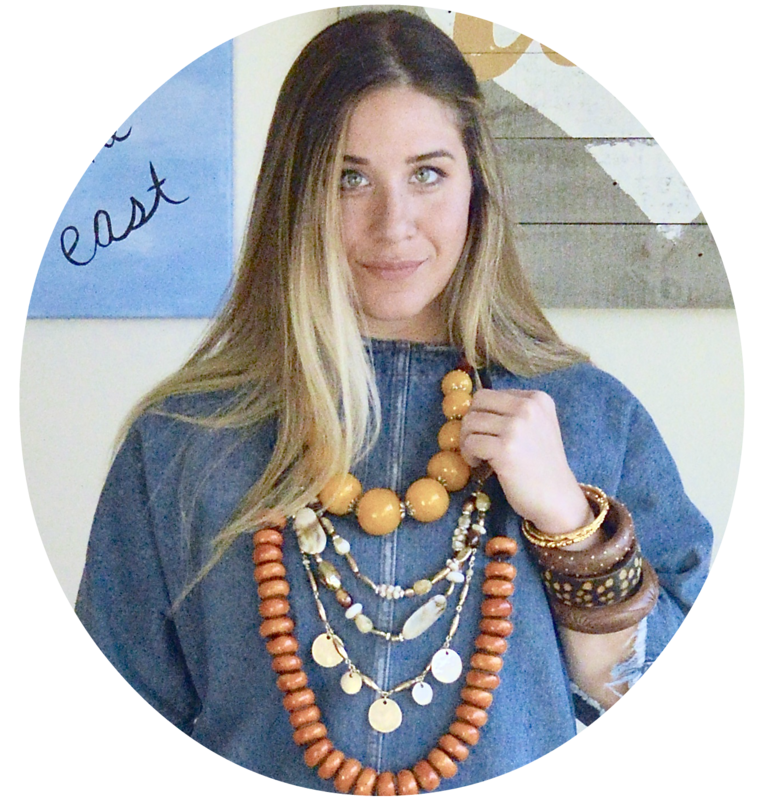 My other strategy was to buy a few new jewelry statement pieces to spice up my basics and go with my easy boho vibe. Third // This next rule, I call this the wild card item. The one exception to buying just to buy things is to hit your free shipping minimum. This could be dangerous and the one moment you tend to go rogue and through these rules out the window. When adding my final item to my cart, generally, I have every intention of returning that last item back to the store. This can be difficult for people who aren't in a major city with stores around every corner. This has happened to me with Express before, and the nearest store was out in Renton! It's a whole trip cost as much as the shipping charge, after considering time and gas. The other wild card effect is getting the item and, of course, falling in love with it. Then you need to consider if the product is worth keeping. Fourth // Buy online and pick it up at your local Anthro. It's the best and easiest way to get what you're hoping for in no time. Granted, this difficult if you don't live within close proximity to a store and you will need to pick it up 24 hours after it's ready for pick up. Fifth // Give Grace. Give yourself a break. I tend to always have a bullet point about this because life is short... buy the earrings! Do you love them? You will wear them 3x more if you love them. Make sure they are absolutely worth the price and the purchase and be happy and confident in your decision. 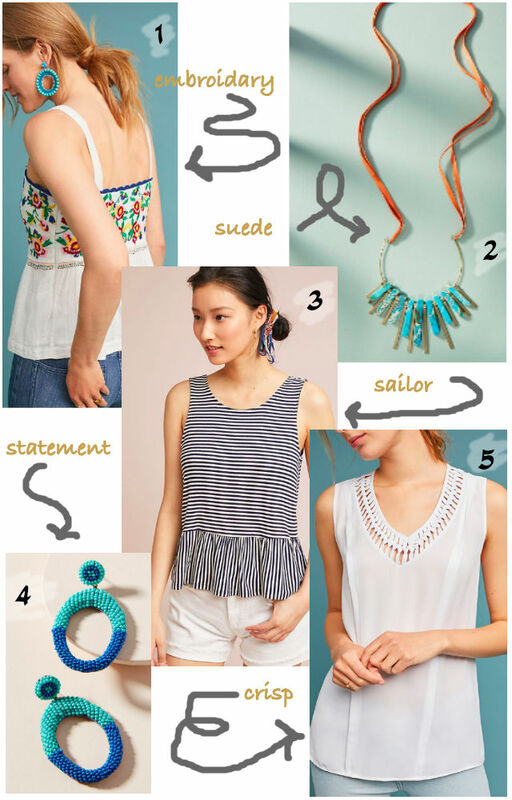 Those are my 5 lovely tips for successfully getting through an Anthropologie sale! The items I bought in my montage are below!